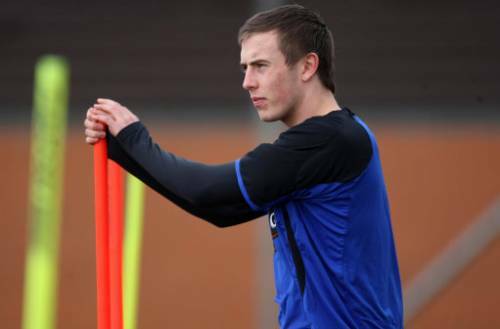 Liverpool have agreed a deal ‘in principle’ to sign Rangers highly-rated young defender Danny Wilson on a three-year contract. The initial fee is thought to be £2 million, but that could rise to £5 million depending on a series of performance-related clauses and add-ons. “Danny was entering the final year of his contract with the club and had indicated that he felt it was in his interests to move on. The signing of Wilson represents yet more shrewd business by Liverpool in the summer transfer market. He’s 18-years-old (so there’s plenty of room for improvement), fairly quick, dominant in the air and strong in the tackle – in short, he’s everything a decent centre-back should be. Could I be so bold as to suggest he actually reminds me of the Gers elder-statesman David Wier when he was in his prime a few years back, which is by no means a bad thing. In other news, Liverpool have told Swiss right-back Philipp Degen that he is free to look for another club, which I guess is the politest possible way of saying “p*ss off kidder”.